SprezzaBox is a Men’s Subscription Box for the fashion conscious man who dresses both professionally and casually. 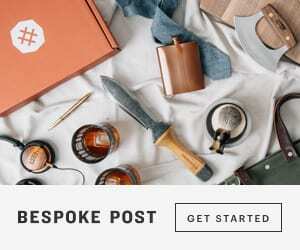 SprezzaBox curates the latest fashion accessories and provides them to you at an extremely low-cost every month. They strive to keep the product mix fresh in each box so that you will always look dapper. Best of all, they partner with some amazing new companies to help you discover new brands. It’s like a present to yourself every month! They kindly sent us this box for review. We’ve got some exciting things coming up here at SprezzaBox that we couldn’t have achieved without awesome members like you. This month, we’re thanking you with a box full of character and variety of patterns to keep you looking fly. 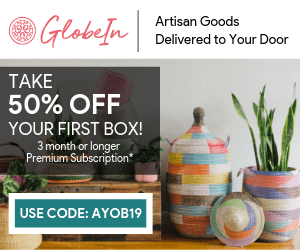 SprezzaBox is a favourite of AYOB and it’s a box we have been receiving for quite some time! This is my first peek at it. There are so many men’s fashion boxes on the market, but I feel like Sprezza has what it takes to stand out! Let’s take a look at the November box. It’s definitely a great time of the year to add some bold stripes and colours to your seasonal wardrobe. We recommend pairing this number from The Knotty with a grey or brown tweed blazer to add some depth to your look on a brisk and chilly day. We moustache you a question… would you ever grow your mustache out for an entire month without trimming it at all? If the answer is no, that’s ok we understand. We want you to make friends (not lose them) and that’s where this lapel pin comes in handy. It’s a sure conversation starter and Lovely Lapels has plenty more pieces for sale on their site. Love this tie! I’m a bit of a sucker for the simplicity of navy, red and grey. Much of my wardrobe are these colours and I wear them all year round! The moustache pin is on point! I would wear this on my jacket collar! Gentlemen throughout many generations have been rocking argyle. Your dad, your dad’s dad, Scottish Highlanders from the 17th century, and now you. The awesome crew at Sockrates came in clutch with a comfy pair of argyle socks to tie this box together. Love these! Argyle is classic and I don’t see it going out of style any time soon. To further complement the colours of this month’s striped tie, we’ve featured a gingham pocket square that will be sure to complete your ensemble with just the right amount of pop. Super soft and can also be used to clean your glasses or phone. Really nice basic pattern! I’ve become such a sucker for pocket squares! I think every man should be wearing them in their blazer. Whether you’re cracking open your favourite seasonal craft brew or getting ready for the big game with the boys, you’ll always need to have a bottle opener handy when the occasion calls. Hang this around your neck or keychain for easy access. Cheers! Our friends over at Quip have provided you with a travel-friendly toothpaste that features only the best ingredients. These guys are innovating the dental game with sleek electronic toothpaste shipped on rotation. Really liked the presentation and packaging of this box! It felt classy, simple, effective and all the items provided were really great! Taking a peek at last month’s box I would say I was a bigger fan of the over all curation of October, but the November box is really quite nice! I do like when all accessories in the box can be worn together, giving you an immediate outfit. I also liked the toothpaste! More echo-friendly products are the way to go and it can be tough to hear of new ones. For $28 a month, you'll receive 5-6 men's fashion and lifestyle accessories delivered monthly to your doorstep. All items are curated by SprezzaBox's expert stylists and retailed at over $100!